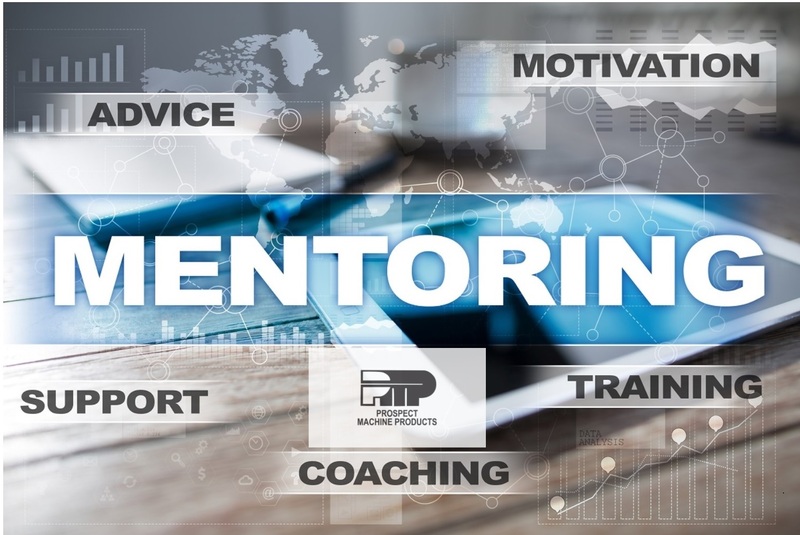 The quote above captures some of the main reasons we have a mentorship program at Prospect Machine Products (PMP). While formal courses in design, mathematics, metallurgy, and mechanical principles are needed to be a good toolmaker, they are no substitute for the lessons that come from the experience of experts in deep draw metal stamping. Mentors are special people. They have a unique combination of a predisposition and willingness to teach practical methods to pupils, along with a great deal of patience and discipline. We’re fortunate at PMP to employ expert toolmakers who possess those critical characteristics. They are proud to pass the torch to the newest members of the team in the same way it was passed to them by their mentors. 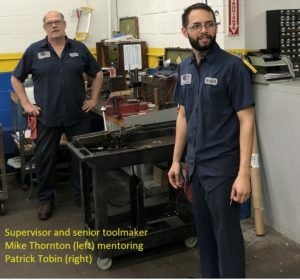 It is an informal “pay it forward” practice where tribal knowledge can be shared, and the mentee can be trained to visualize solutions, develop a strong mechanical aptitude, and learn unwritten rules of deep draw metal forming. Our rich history and tremendous depth of knowledge at PMP is one of our competitive advantages in the deep draw stamping business. And not only does mentorship ensure that critical information and expertise is retained, it also strengthens and unites the team, as new members are grateful for the knowledge on which they will build their career. A mentorship program is not, of course, without its costs, as it diverts key technical personnel away from complex setups and tool designs. However, the practice is a must for maintaining product quality and a high level of customer satisfaction, and as a result, sustaining the company. Mentorship is also an investment in staff satisfaction. It shows a commitment to employee development that tends to be repaid in loyalty. And that loyalty provides continuity that helps ensure we’ll be able to deliver the same degree of end-product excellence in the future that we are providing to customers today. Need assistance with your next deep draw metal stamping project? Contact us anytime or schedule a meeting with our Sales and Applications Engineering Manager, Tony Romero. ** “Critical skills shortage.” Electric Boat’s Maura Dunn speaks at the 2018 Made in Connecticut Manufacturing Summit.